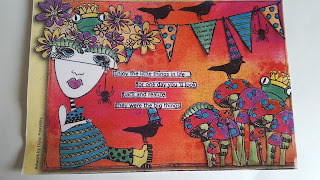 Dyan Reaveley art Journal page from a magazine. 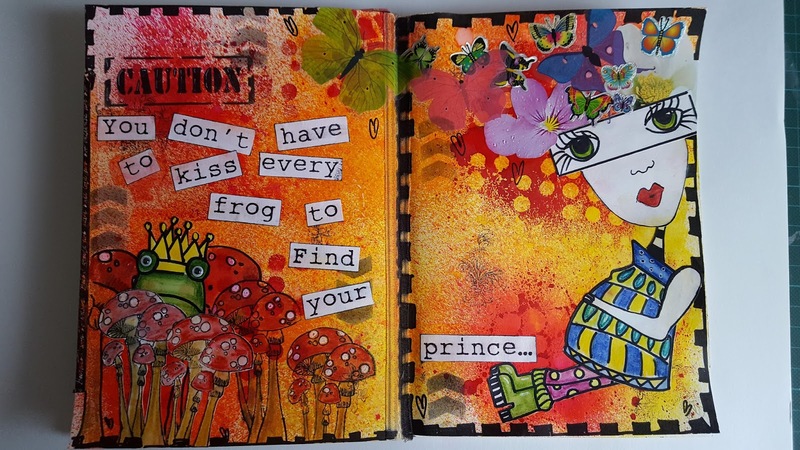 My first attempt at creating a page based on her page above. 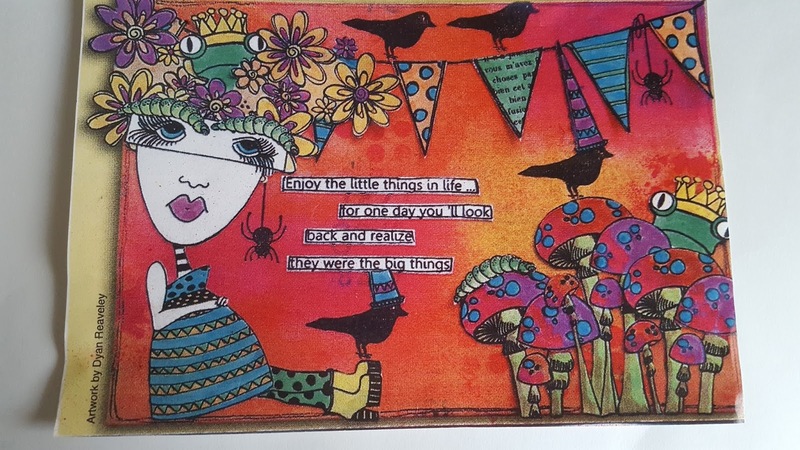 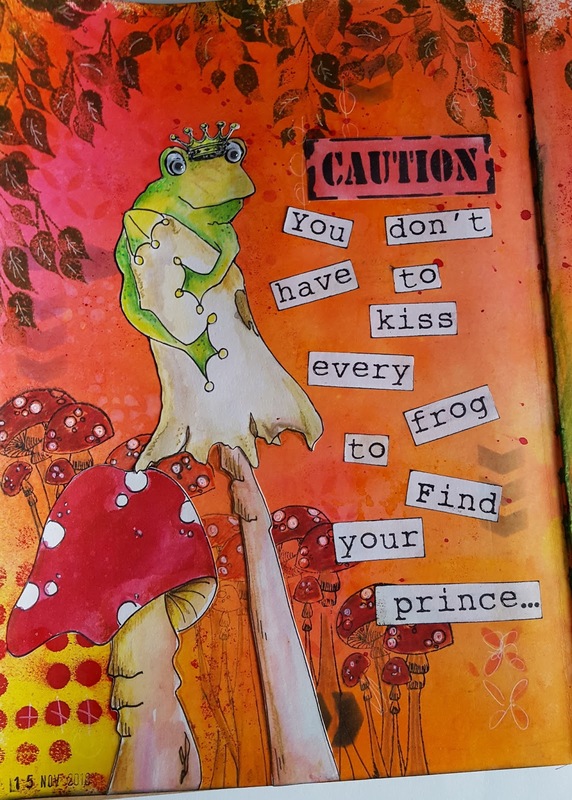 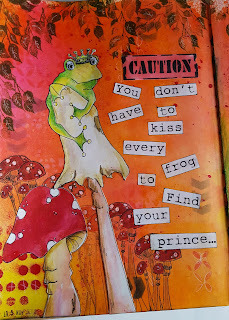 This is in a sketchbook I made for collage journaling based on a tutoral by Dianne Fargo aka PackerDi. 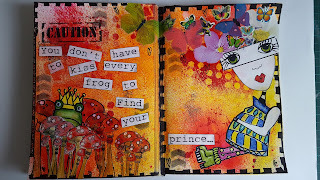 My very first journal page in my Dylusion A4 journal book.